STARTING with local and regional 'Best New Business' awards in 2002, Danthonia has gone on to take many of the top prizes available for sign design and quality of execution. 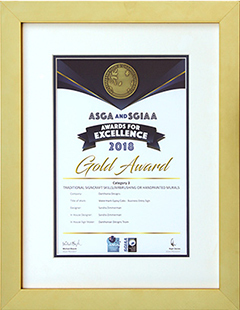 Competing for national and international awards like these keep our designers at their creative best and give prospective clients a good idea of how we rank in the industry. The people chosen to judge these contests are highly respected leaders in the sign industry - sign business owners, design professionals and sign trade magazine editors. Typically a contest will have hundreds of signs entered. International contests usually take entries from a wide selection of countries like the USA, UK, Germany, Canada, New Zealand and Australia. A prize taken in one of the contests listed at right is a hard earned world-class award. Contact us - we would love to design you an award-winning sign!